Completely redesigned around the Subaru Global Platform. More spacious and refined, with new capability and performance. New exterior and interior styling. Available two-mode X-Mode for improved capability in all conditions. MISSISSAUGA, ON, Aug. 8, 2018 /CNW/ – The 2019 Forester will be available in six well-equipped trims when the all-new fifth-generation version of one of Subaru’s most iconic models goes on sale this fall. The roomiest, most capable Forester to date will be available in 2.5i, Convenience, Touring, Sport, Limited and Premier trims when it arrives at Subaru dealers across the country, and also features ground-breaking and segment-leading safety technology. Joining Subaru’s award-winning EyeSight driver assist system is the all-new — and segment-exclusive — DriverFocus safety technology aimed at combating driver fatigue and distracted driving. As an industry leader in safety, Subaru developed this state-of-the-art system to help address the growing issue of distracted driving and driver fatigue for both new and experienced drivers. Built on the Subaru Global Platform (SGP), the new Forester features slightly larger exterior dimensions, resulting in the roomiest cabin in its history, while retaining the maneuverability that’s synonymous with the popular Subaru. 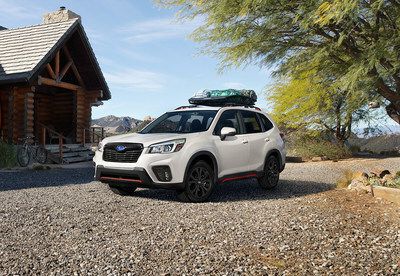 For 2019, all Foresters are powered by a new direct-injection, 2.5-litre direct-injection SUBARU BOXERfour-cylinder engine featuring ISS ignition Start/Stop paired with a Lineartronic continuously variable transmission (CVT). Also standard on all trim levels is Subaru’s legendary Symmetrical full-time all-wheel drive, while standard X-Mode — and an available two-mode X-Mode — offers even more capability to go virtually anywhere necessary. The 2.5i trim comes impressively equipped and includes an array of standard features that help the entry-level Forester punch well above its weight class. Beyond the standard Symmetrical full-time all-wheel drive and new 2.5-litre direct-injection SUBARU BOXER engine, the Forester 2.5i includes automatic climate control, automatic LED headlights, auto vehicle hold and an electronic parking brake. Other standard features include Subaru’s SI-Drive drive mode selector, as well as standard X-Mode with Hill Descent Control, heated front seats and a 6.5-inch touchscreen infotainment system with Apple CarPlay and Android Auto smartphone compatibility. New for 2019, the Forester Convenience adds comfort and convenience features including 17-inch alloy wheels, a 10-way power-adjustable driver’s seat, a leather-wrapped steering wheel, premium cloth upholstery, a six-speaker audio system, dual-zone automatic climate control and a 6.3-inch colour multifunction display atop the dash. 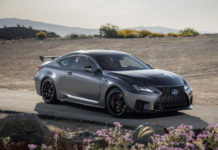 Other features include paddle shifters, a rear seat armrest with integrated cupholders and a rear tonneau cover, as well as a rear spoiler and a windshield wiper de-icer. Subaru’s award-winning EyeSight driver assist system, which includes adaptive cruise control, pre-collision braking, lane departure warning, lane sway warning and lane-keep assist, is available as an option on the Convenience trim. Also included in the optional EyeSight package is a proximity key with push-button start and Reverse Automatic Braking. 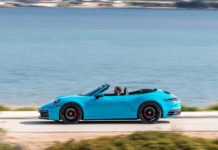 Moving to the Touring trim includes EyeSight as standard equipment, including a proximity key with push-button start and Reverse Automatic Braking, as well as high beam assist. A power rear tailgate with memory function and a large power-slide glass sunroof are also included on the Forester Touring with EyeSight. The all-new Forester Sport sees its list of standard features grow drastically, while the enhanced interior and exterior aesthetics help it stand out in a crowd. An exclusive front grille, rear spoiler, rear under-guard and roof rails are joined by exclusive dark metallic 18-inch wheels and orange exterior accents. Other exterior additions include vertical LED fog lights and LED side mirrors, steering responsive headlights and a Forester Sport-exclusive Dark Blue Pearl exterior finish is also available. The theme continues inside, with orange interior accents and stitching, while the infotainment system includes an eight-inch touchscreen. Also added are dual rear USB ports, for a total of four, and A/C ducts on the back of the centre console for improved second-row passenger comfort. The Sport trim also adds reclining rear seats and a leather shift knob. Also new is a two-mode X-Mode system that features separate settings for snow and dirt as well as deep snow and mud, and a unique SI-Drive Sport system for improved throttle response. Subaru’s Side/Rear Vehicle Detection (SRVD) system is also included for enhanced safety. The Forester Limited adds 18-inch machined alloy wheels and adds a premium front grille for a more refined look, while the side mirror features a reverse tilt feature in a Subaru first. 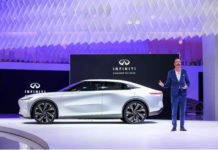 Inside, the eight-inch infotainment system includes integrated navigation functionality, while an eight-speaker Harman Kardon audio system is included for enhanced sound. Leather upholstery in the choice of black or platinum is also standard on the Limited trim, as is a heated steering wheel and heated rear seats. Finally, the all-new Premier trims represents the ultimate in refinements, with plenty of upscale features to round out the Forester’s rugged, adventure-ready abilities. Exclusive 18-inch machined alloy wheels are joined by chrome door handles and exclusive silver painted front and rear bumper under-guards, side garnish and roof rails, as well as satin chrome side mirrors and a stainless steel rear bumper step pad for a refined look. Inside, the Forester Premier adds exclusive brown leather upholstery and a power passenger seat, as well as the all-new DriverFocus distraction mitigation system for improved safety and peace of mind.